Collaboration + abundance at #LF19. [If there is collaboration, there is also abundance]. Living Future is all about cross-industry collaboration. We believe regenerative design can only happen when all voices are brought to the table. If you’re interested in making a difference in your community, then there’s a place for you at Living Future. Keynote speakers will be: Bill McKibben (350.org, Founder), Mary Robinson (Former President of Ireland, UN Special Envoy on Climate Change), Mustafa Santiago Ali (Hip Hop Caucus, Senior Vice President of Climate, Environmental Justice, & Community), Sara Sanford (GEN, Executive Director), Mark Chambers (Chief Sustainability Officer, City of New York). Join participants of the Living Future Network around the globe to discuss the creation of Living Buildings, Products, and Communities outside of the US. Sustainable buildings and facilities are critical to a future that is socially just, ecologically restorative, culturally rich and economically viable within the climate change context. Despite over a decade of strategies and programmes, progress on built environment sustainability fails to address these key issues. Consequently, the built environment sector no longer has the luxury of being incrementally less bad, but, with urgency, needs to adopt net-positive, restorative sustainability thinking to incrementally do ‘more good’. This session will focus on the work that the COST RESTORE project has been achieving in Europe over the last two years to accelerate the adoption and awareness of restor ative buildings. The session will review research, collaboration and projects that have emerged from this partnership of 130 organizations and institutions. The panellists will elaborate also on how the Living Building Challenge can bring restorative principles to building projects through this Action across Europe. 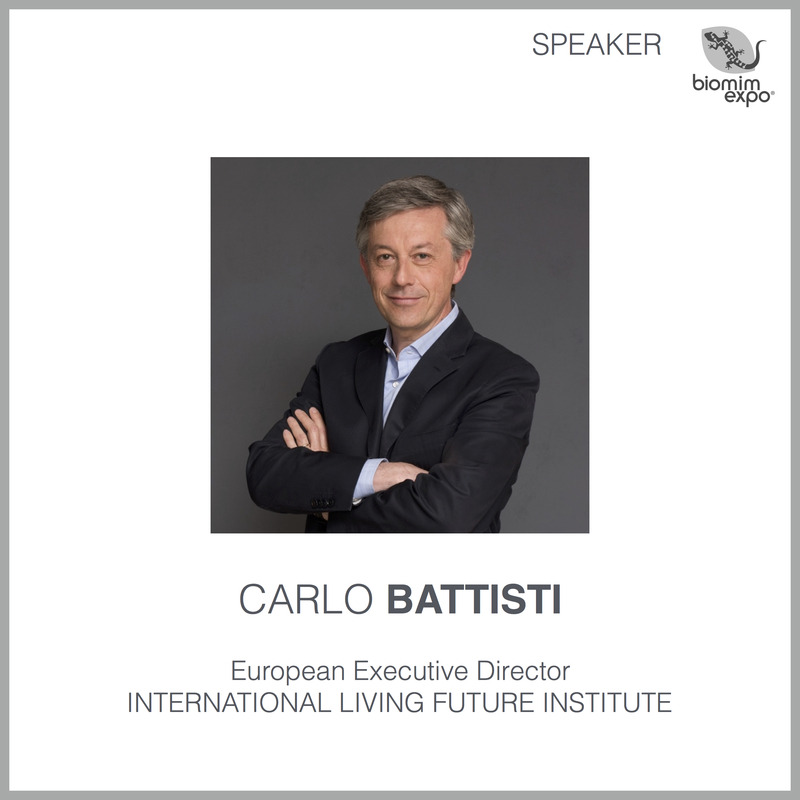 Carlo Battisti is Chair of the COST Action 16114 RESTORE and European Executive Director for the International Living Future Institute. L’effetto dello spazio ufficio e delle attrezzature sulla salute fisica e psicosociale. L’aumento della produttività e la riduzione dei costi hanno portato una intensificazione dei ritmi di lavoro, spesso in ambienti non ottimali per ottenere il miglior rendimento. Soluzioni come Job and Desk Sharing, Multi Space, Coworking Spaces o Flexible Offices offrono opportunità per processi di lavoro più efficienti, ma richiedono soluzioni progettuali specifiche, per garantire il comfort e l’ergonomia necessari. Durante l’evento verranno fornite informazioni per ottenere ambienti lavorativi confortevoli e salubri, ottimizzando i fattori che influiscono sul benessere fisico e mentale. Verranno inoltre mostrati esempi concreti di progettazione partecipativa, misura del comfort e soluzioni di arredo per garantire il «benessere» nel proprio ambiente lavorativo. La partecipazione all’evento dà diritto a 2 crediti formativi professionali (CFP) per architetti e 2 crediti LFA (Living Future Accredited professional). 17:30 Nuovi spazi per nuove realtà lavorative. Manfred Andergassen, vival.institute, esperto di management della salute, supervisore e coach. 18:15 Attento a come ti siedi. Nuovi modi di lavorare, vecchi problemi? Die Auswirkungen von Büroräumen und Geräten auf die körperliche und psychosoziale Gesundheit. Produktivitätssteigerungen und Kostensenkungen führen zu einer Steigerung des Arbeitstempos, oft in nicht optimalen Umgebungen, um die beste Effizienz zu erreichen. Lösungen wie Job- und Desk Sharing, Multi Space, Coworking Spaces oder Flexible Offices bieten Möglichkeiten für effizientere Arbeitsprozesse, erfordern jedoch spezielle Designlösungen, um den erforderlichen Komfort und die Ergonomie zu gewährleisten. Während der Veranstaltung werden Informationen gegeben, um ein komfortables und gesundes Arbeitsumfeld zu schaffen und die Faktoren zu optimieren, die das körperliche und geistige Wohlbefinden beeinflussen. Darüber hinaus werden konkrete Beispiele für partizipatives Design, Komfortmessung und Einrichtungslösungen gezeigt, um “Wohlbefinden” im Arbeitsumfeld zu gewährleisten. 17:00 Living Office. Biophile Planung für Arbeitsräume. 17:30 Neue Arbeitswelten brauchen neue Räume! 18:15 „Sitz Dich nicht krank“; neue Arbeitsweisen – alte Probleme? Für die erfolgreiche Teilnahme erhalten Architekten zwei Credits. Dieser Workshop wurde auch für 2 LFA (Living Future Accredited professional) CEU-Stunden genehmigt. ILFI a Klimahouse. 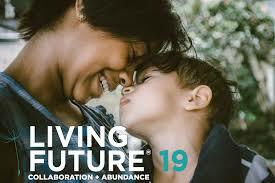 La scelta per un Living Future. Il desk ILFI in Fiera. L’evento di lancio dell’etichetta Declare Europe. ILFI è main partner del Klimahouse Startup Award 2019. La finale, con la scelta del vincitore tra le 26 startup partecipanti si svolgerà venerdì 25.01 dalle ore 18:30 nello spazio NOISE del NOI Techpark. Amanda Sturgeon sarà la madrina di questo evento con un keynote speech. La partecipazione è aperta al pubblico. Per maggiori informazioni sulle attività del LBC Collaborative: Italy scrivere a LBCCItaly@gmail.com. Are you ready for the transparency revolution? Join us for the the Declare Europe launch event. 24 Jan 2019 at NOI Techpark. Your product. How do you achieve it? NOI Techpark, Via A. Volta, 13, 39100 Bolzano, Italy, Room SEM3. 17.15 Stories of companies: how do they make it? 18.15 label launch in Europe. Entrance is free but places are limited. Please register here. This workshop has been approved for 2 LFA (Living Future Accredited professional) CEU hours. Languages: IT / EN / DE. #S3 – LOTUS A3 – 14:30-16:00 – Creating Biophilic Buildings for a Regenerative Future, by the International Living Future Institute. As part of our Living Building Challenge – workshop series, Living Future Europe, will deliver a series of workshops to enable participants to expand their regenerative design capabilities and integrate concepts into their practices such as Biophilic Design. The event includes the following workshop: “How to create truly biophilic and regenerative buildings and communities”. This workshop is aimed at architects, engineers, developers and product manufacturers interested in innovative and transformative solutions, providing insights from leaders in the green building community through real-world examples while providing tools and techniques that can be applied in the local French context. Spaces are limited to 60 for this training opportunity. The workshop will be animated in English with possible interactions in French thanks to the translation of Estelle Cruz and Louise Hamot. Dans le cadre de notre série d’ateliers sur le Living Building Challenge, Living Future Europe propose des ateliers pour permettre aux participants d’approfondir leurs compétences en conception régénérative et d’intégrer ces concepts dans leurs pratiques comme la conception biophilique. Cet événement correspond au workshop suivant: “Comment créer des bâtiments et communautés régénérateurs”. Cet atelier s’adresse aux architectes, ingénieurs, développeurs et fabricants de produits intéressés par des solutions innovatrices et transformatrices, offrant une réflexion menée par des leaders de la communauté de la construction écologique anglo-saxonne à travers des exemples concrets tout en fournissant des outils et techniques qui peuvent être appliqués dans le contexte français local. Les places sont limitées à 60 personnes pour cette occasion. L’atelier sera animé en anglais avec des interactions possibles en français grâce aux traduction de Estelle Cruz et Louise Hamot. Carlo Battisti , European Executive Director INTERNATIONAL LIVING FUTURE INSTITUTE. Sustainable Innovation Consultant and Project Manager. Degree in Civil Engineering from the Politecnico of Milan, about twenty years of experience in construction companies, with different roles // Consultant en innovation durable et chef de projet, Carlo est Diplômé en Génie Civil à l’Ecole Polytechnique de Milan. Il a aujourd’hui une vingtaine d’années d’expérience dans des entreprises de construction en ayant occupé différents postes. 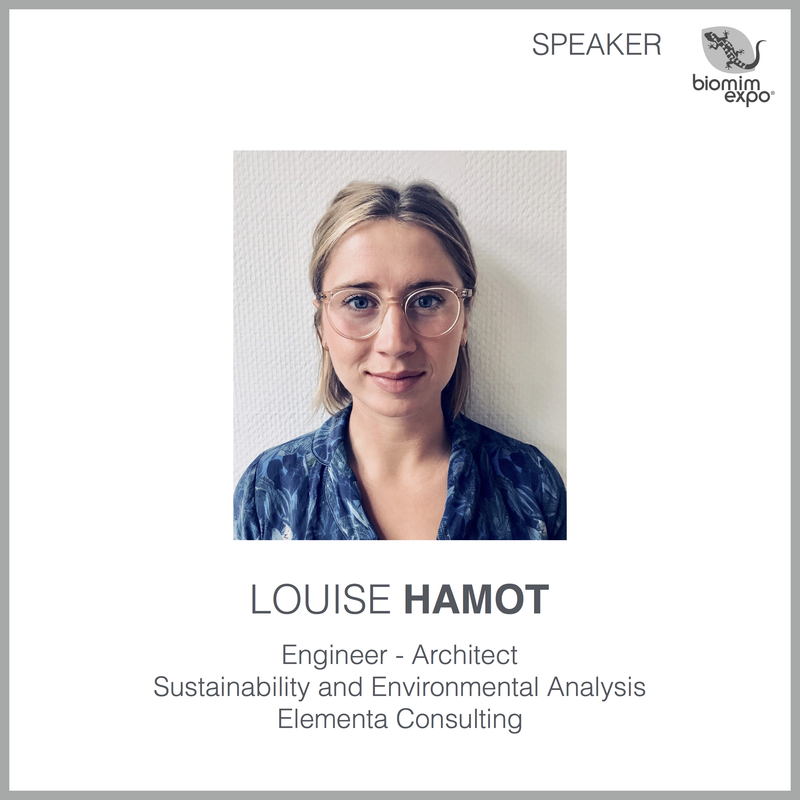 Louise Hamot , Engineer – Architect, Sustainability and Environmental Analysis, Elementa Consulting. While having just graduated from a double diploma in Architecture with high honors of the Jury at Ensa Nantes and in Engineering with a major in Urban and Building physics at Ecole Centrale, she has more than 2 years of professional experiences in deep green architecture // Ingénieur Architecte DE, diplômée de l’Ecole Centrale de Nantes en Physique de l’Environnement Urbain et du Bâti et de l’Ecole Nationale Supérieure d’Architecture de Nantes, Louise a plus de 2 ans d’expérience professionnelle en architecture regenerative. 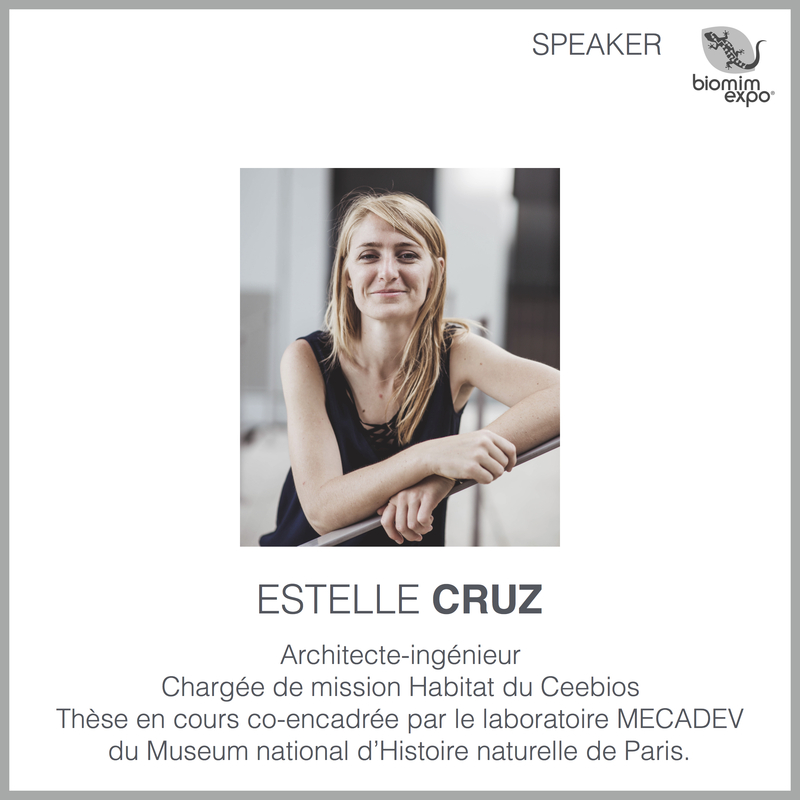 Estelle Cruz , Architecte-ingénieur, Chargée de mission Habitat du Ceebios. A young state-certified architect and engineering student, Estelle followed the dual courses of architecture and engineering at ENSAL and Ecole Centrale de Lyon. Passionate about biomimicry, she undertook a one-year “biomimicry world tour” // Jeune Architecte diplômée d’Etat et élève ingénieur (en cours de validation d’acquis), Estelle a suivit le double cursus architecte-ingénieur de l’ENSAL et Ecole Centrale de Lyon. Passionnée par le biomimétisme, elle a entrepris durant un an un “tour du monde du biomimétisme”. With RESTORE we are going further, envisioning a restorative/regenerative sustainability, where we are required to do “more good” instead of “less bad” if we really intend to subvert the current pace in the fight against the climate change, recovering an approach that is both human and natural. We know that the building industry is rapidly moving towards a full digitalization, where tools (the means) look sometimes more important than purposes. How can digitalization follow through this transition in the concept of sustainability? Is the new generation of skilled professionals of the digital design age capable to embed the new principles of sustainability in their every day work? How can we restore a balanced relationship between humans and nature – inside and outside our buildings, districts, communities – exploiting the new tools that industry 4.0 make us available? Is a (digital) sustainability 4.0 feasible? The main focus of the Conference Week in Malaga, organized in the frame of Cost Action CA16114 RESTORE CA16114, is the Digital Implementation of the 17 UN Sustainable Development Goals and Regenerative Sustainable Design principles in the practice of design. Via the integrated use of freeware digital parametric modelling, the discussed challenges are to adapt to climate change, improve outdoor microclimate qualities and indoor health/ wellbeing, operating a transformation that responds to the criteria of Circular Economy. Special side event on Friday 19th: Visit to Malaga Cathedral retrofit work by Juan Manuel Sánchez La Chica. Morning Conference on ‘Regenerative Design & Integrated Parametric Modelling‘. Location: Escuela Técnica Superior de Arquitectura de Málaga – UMA – Plaza el Ejido 2. Campus El Ejido. 29071. Morning Conference on ‘Design for Climate Adaptation‘. Morning Conference on ‘Design for Life Cycle Impact Reduction‘. Morning Conference on ‘Design for Wellbeing‘. Final Conference on ‘Regenerative Design & Competition‘. SPECIAL LOCATION: OMAU – Camino de la Desviación s/n. 29017. SPECIAL LOCATION: Malaga Cathedral – Calle Molina Lario, 9, 29015. The 2019 Klimahouse Startup Award call is open! A focus on innovation and people. Thirty-two startups from all over Europe at Klimahouse 2019. Thirty-two startups from all over Europe at the centre of Klimahouse 2019. Now at its third edition, the Klimahouse Startup Award grows threefold and dominates the central area of this European event dedicated to energy-efficient building. Hence, the Startup Village becomes a real centre of innovation at the Fiera Bolzano (Bolzano Trade Fair). The 4-day showcase will include themed meetings and matchmaking between startups, companies and strategic partners for the green startups of the future, which will see an increase from the 10 participating last year to 32 at the 2019 edition. The call for participation for the Award, which, this year, involves a total prize amount of €30,000 in services, is now officially open and startups can apply at the following link. The theme of this edition, scheduled from 23 to 26 January, will be “The Human Factor“: therefore, the focus will be on the consequences for people of technologies dedicated to smart building, smart living and the smart city. A new feature will be included: the prize awarded by the public, who will be called on to vote on the days of the event. Moreover, the special Agenzia CasaClima prize has been confirmed. The 2019 edition of the award is promoted in collaboration with the International Living Future Institute, a non-governmental organisation founded in Seattle that is present in Europe with an office at NOI Techpark as of this year. Since 2006, it has been promoting Living Building Challenge, the strictest and most advanced standard certifying sustainability applied to buildings. As confirmation of the partnership, the CEO of the International Living Future Institute, Amanda Sturgeon, author of the book entitled Creating Biophilic Buildings, will make the opening address at the final of the Klimahouse Startup Award scheduled for 25 January. The participation fee is €999 + VAT: the full amount will be refunded to the ten startups selected for the final on 25 January. By 19 November 2018, a technical jury will select the 32 startups called to exhibit their services and products in Bolzano from 23 – 26 January 2019 at Klimahouse in the Startup Village in the Fiera Bolzano halls. Every day, several session pitches will be held to allow the participating startups to introduce themselves to the public at Klimahouse: during the first three days of the event, the technical panel of judges will select the ten startups to compete for the first prize during the final that will take place at NOI Techpark. The startup finalists will be judged by the panel on an elevator pitch and on a subsequent Q&A session. This year, for the first time, the public will also vote. Visitors and exhibitors will be able to assign a symbolic “Public Prize” by voting using the specific cards on the first three days of the event. Info: Klimahousestartupaward@klimahouse.it. The total prize amount of the event, in services, is €30,000. The winner will have a fully set up stand, with additional services and hospitality, at the Klimahouse 2020 editions, advertising services in the catalogue and on the official website of the event, as well as 150 invitation vouchers, a visibility package with a press release and a video interview, all for the 2020 edition. In addition, the winner will be able to take part in ComoCasaClima scheduled to take place in Erba (CO), from 15 – 17 November 2019. The Klimahouse Startup Award is organised by Fiera di Bolzano, IDM Alto Adige-Südtirol and Blum. the Sustainable Innovation Management Blog remains ad-free and takes hundreds of hours yearly. If you find any joy and value in it, please consider donating with a recurring monthly or one-time donation of your choosing. Thank you ! QAES. Un progetto … di ampio respiro. We will make our own future. Rethinking Technology. Impact and influence of built environment technologies for a regenerative sector. Photo: Behold the kit fox chain! How Is Technology Impacting the Financial Landscape?